Tank and the Bangas will perform at Delmar Hall on Wednesday, April 17. Saturday, April 13. Multiple venues across St. Louis. Record Store Day is once again upon us, bringing exclusive vinyl, live music DJs, free beer and more to brick-and-mortar musical meccas throughout the St. Louis area. For the full lowdown on all the parties featuring live music, check out our guide to Record Store Day 2019. 8 p.m. Saturday, April 13. Off Broadway, 3509 Lemp Avenue. $10. 314-773-3363. Jeffrey Lewis understands the life of an underground artist. A celebrated cartoonist known for his autobiographically inspired panels, he has long kept a sideline gig as an idiosyncratic folk artist (and his best-known song “Cult Boyfriend” underlines his self-effacing humor). So it’s not too surprising that Lewis sees a kindred spirit in Tuli Kupferberg, a poet, cartoonist and singer who ran with Beat poets, folk singers and a host of New York-based counter-culture warriors. Lewis’ latest album is a tribute to Kupferberg’s songs, which take cues from folk-singer tropes (“This Train Is Bound for Brooklyn”) and pop-music spoofs (“I Wanna Hold Your Foot”). It’s a perfect fit for Lewis’ arch, self-aware and shambolic take on folk music. Ring the Bell: The Opera Bell Band, St. Louis’ theatrical folk troupe, will open the show. 8 p.m. Wednesday, April 17. Delmar Hall, 6133 Delmar Boulevard. $20 to $25. 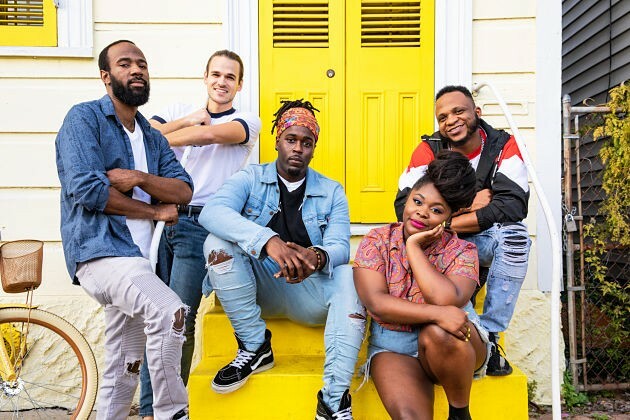 Tarriona Ball is the “Tank” in Tank and the Bangas, the New Orleans collective that seemed to emerge in 2017 as full-blown stars on the basis of a single NPR Tiny Desk triumph. But Ball long honed her lyrical chops on the poetry-slam scene, and for some eight years the band had been working just about any joint that would have them in the Crescent City. All sounds are possible in New Orleans, and all find a fusion in Tank and the Bangas. 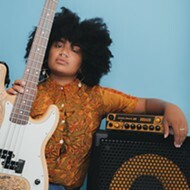 Street-tough jazz, hard funk, silky urban pop, uncensored spoken word, experimental Afro-punk and even quietly storming soul ripple and crest through the band’s music, which its slim recorded output has yet to channel fully. This band demands to be experienced live: Soothing, searing and even ecstatic, Tank and the Bangas throws the most provocative party around. 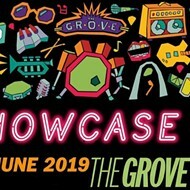 Opening Flavors: Blue-eyed soul conjurer Maggie Koerner and genre-bending turntablist DJ RQ Away, both from New Orleans, add further spice to this heady night.